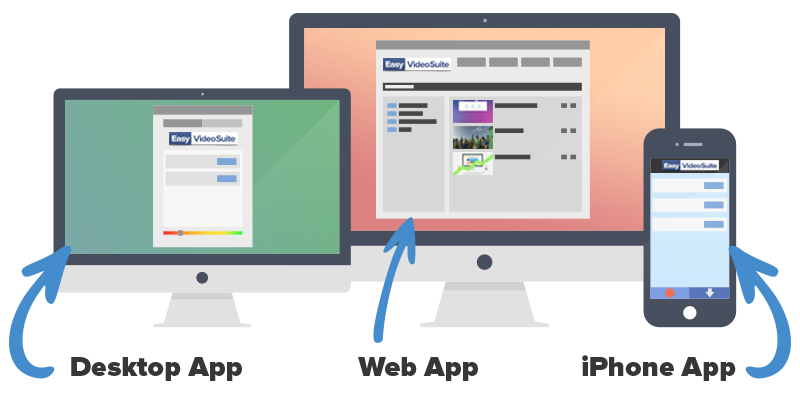 Record, publish, market and track your videos with the most powerful video marketing suite for marketers! The all-in-one video marketing suite for marketers! Create & convert videos, and get them online with ease! Save $100's per month on video hosting! Click here to purchase EasyVideoSuite now! Add Opt-ins, Buttons + More! Want to watch EVS in action? "EasyVideoSuite has been absolutely integral to my business. I don't know if I'd have a business today if I hadn't started using Josh's video software years ago." "If you are doing video online, you are not doing the best you can if you are not using EasyVideoSuite just like me." "I have to say Josh Bartlett finally got a change to go and set up my EVS and have a play with it and I am BEYOND IMPRESSED! The functionality that you have created is seriously awesome. Well done!" This software is compatible with Windows XP, Vista, 7 and 8, and Mac OSX 10.6 and above. This software is designed to seamlessly integrate into your Amazon S3 account. This site and the products and services offered on this site are not associated, affiliated, endorsed, or sponsored by WordPress, Google, Twitter, or Amazon nor have they been reviewed tested or certified by these sites. ClickBank is a registered trademark of Keynetics Inc., a Delaware corporation. easyvideosuite.com is not affiliated with Keynetics Inc. in any way, nor does Keynetics Inc. sponsor or approve any easyvideosuite.com product. Keynetics Inc. expresses no opinion as to the correctness of any of the statements made by easyvideosuite.com in the materials on this Web page.